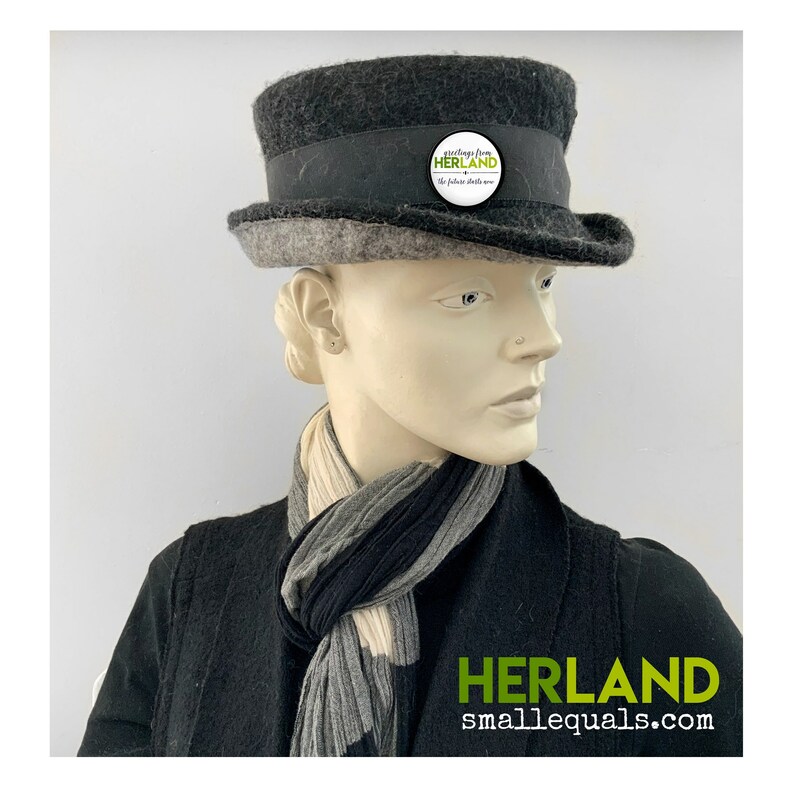 Part of the Small Equals HerLand Collection. 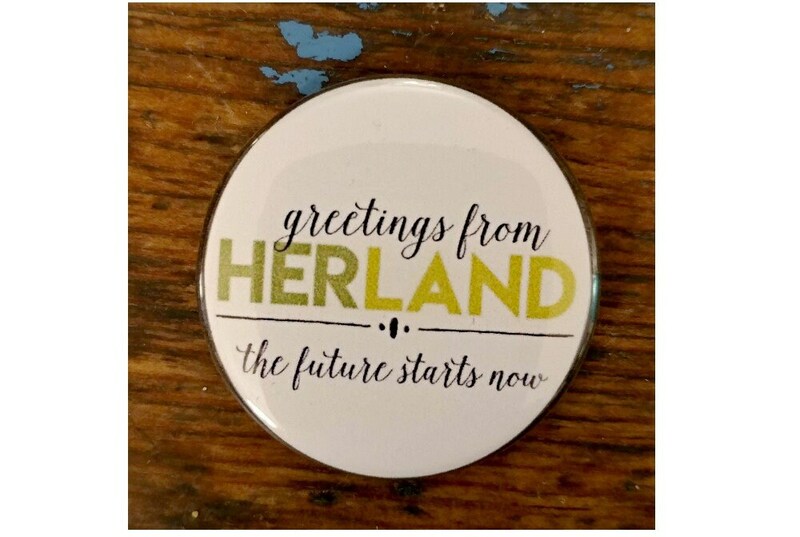 Available in green or blue. 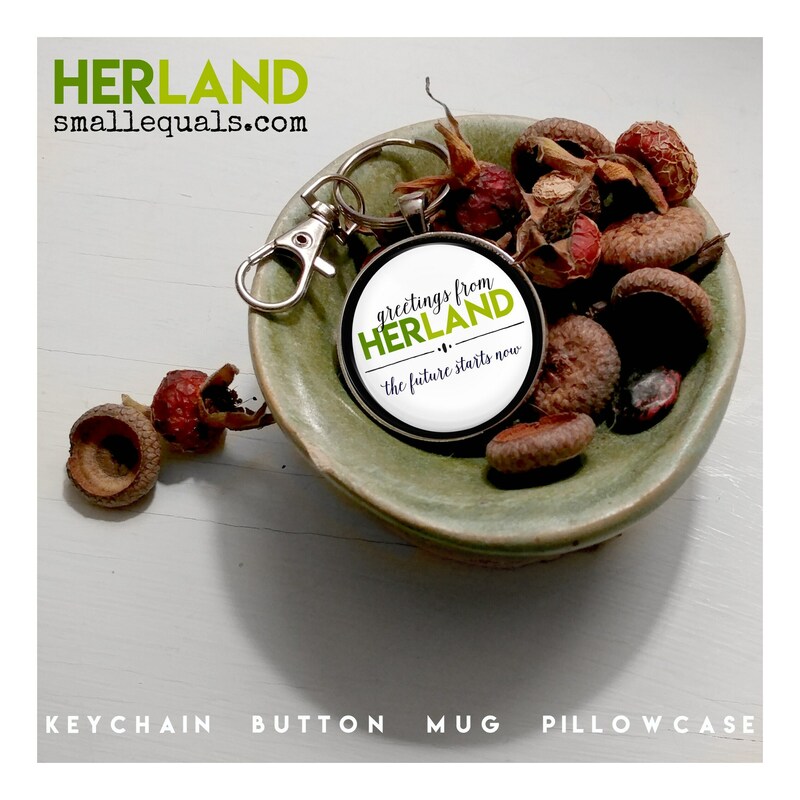 Please make a selection when ordering. 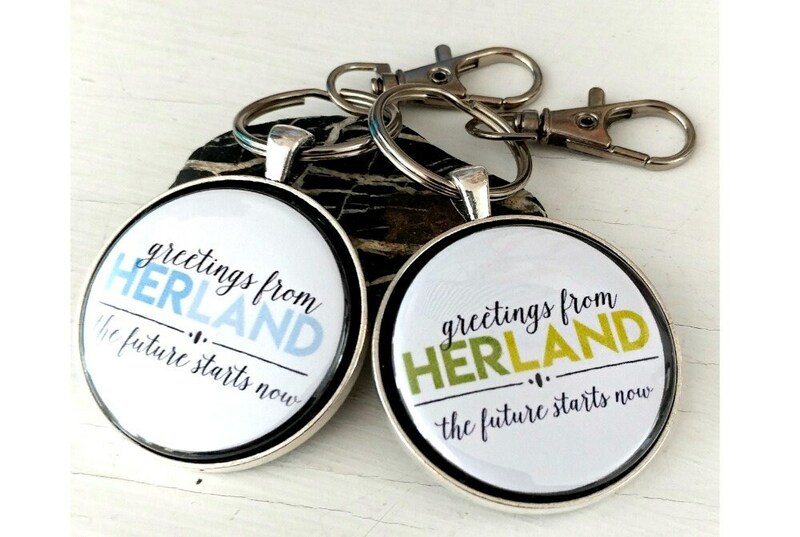 Made with 1.5 inch button in a silver colored metal alloy bezel, with key ring and lobster claw swivel clasp. 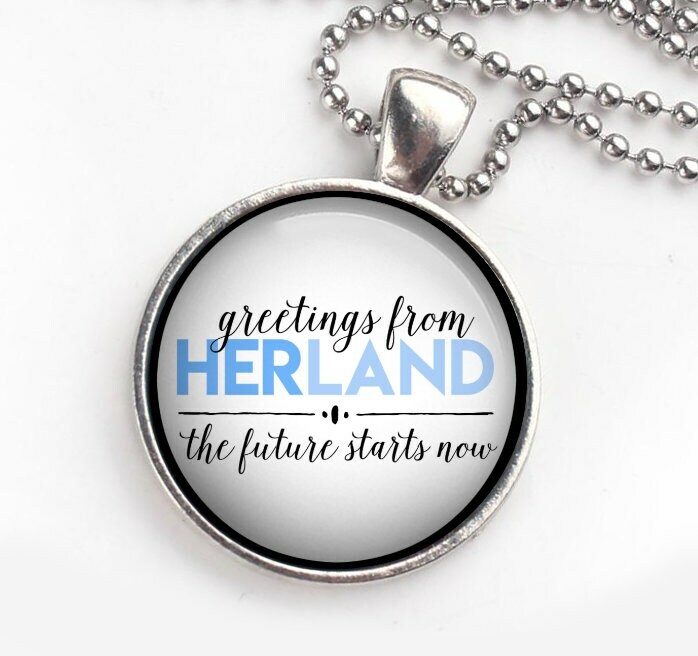 Package also include 24" stainless steel ball chain so item can be worn as a beautiful pendant. 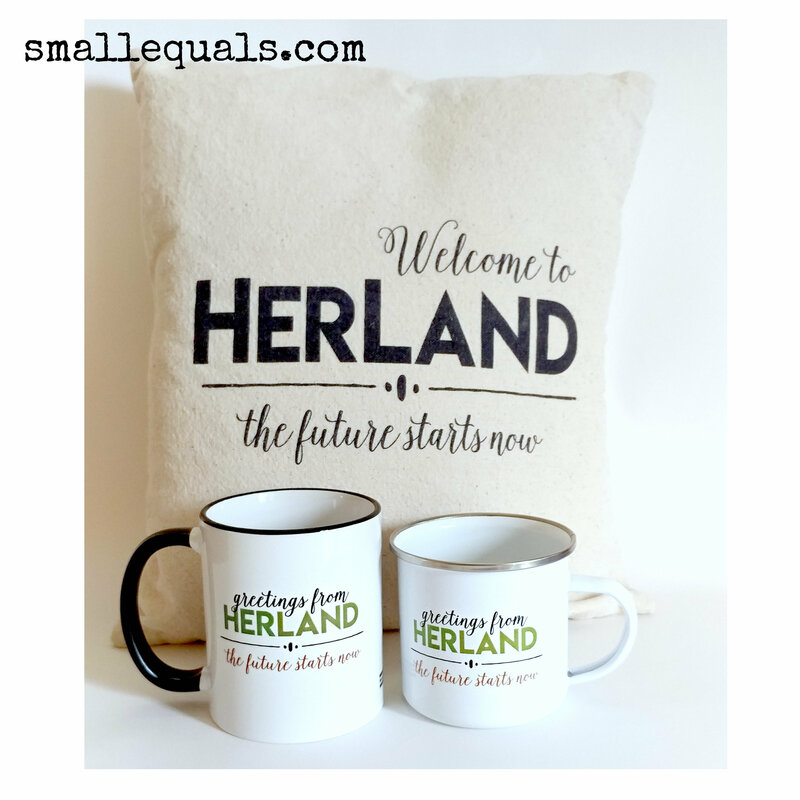 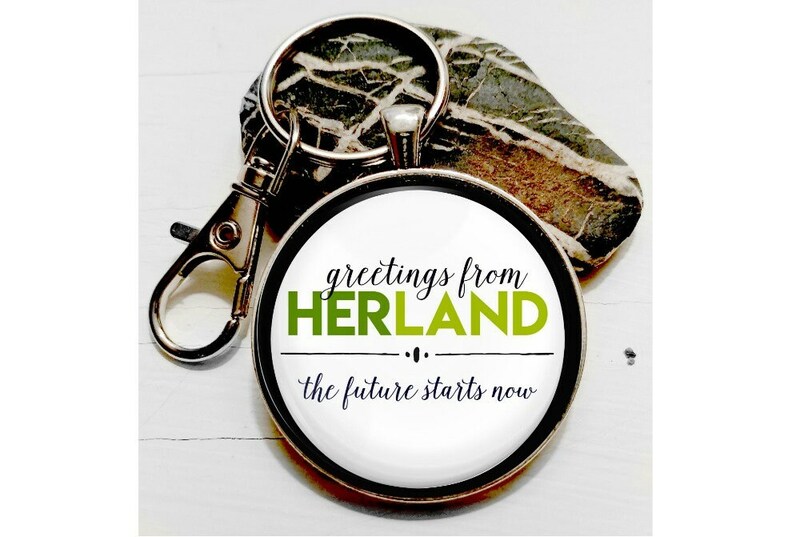 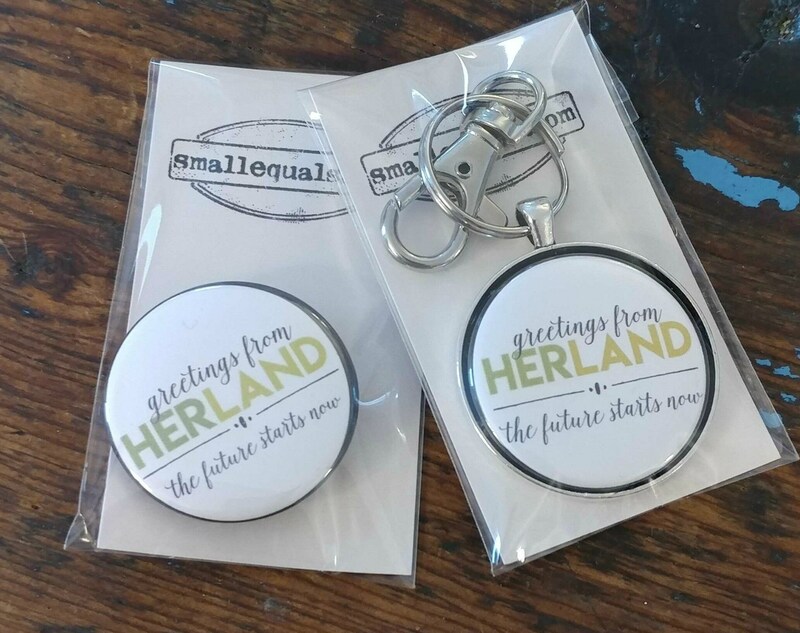 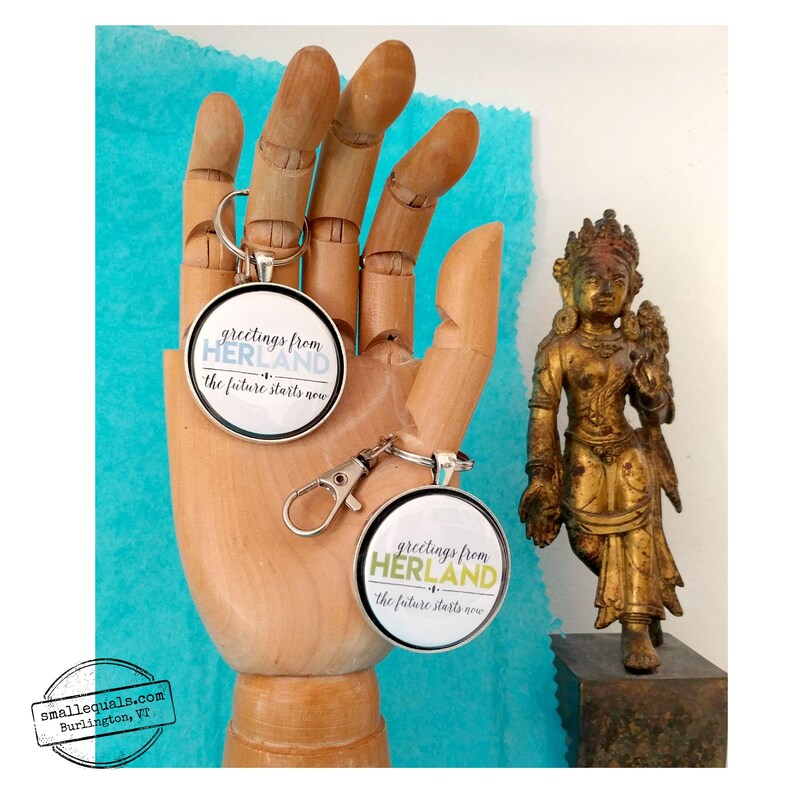 Make sure to check out all our HerLand items.